Buying an e-bike on the internet ? Considering the RadRover Ebike? You better watch this first! RadRover Review and Acceleration Test - How does it stack up? See complete test results in description below. The test above would be more valuable, had he done it on a hill. Speed is one thing, but what you really want to know is does the Rad have the assist level you'd expect from 750 watts, on hills, for longer distances, and how will it hold up ? We will have a Rad model for comparison at our shop this spring, so if you are considering a product from Rad, I would encourage you to try it out in person, and compare to other brands and models. 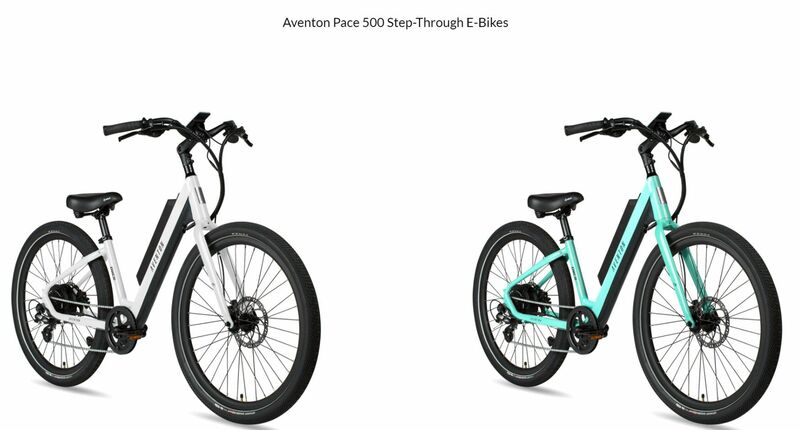 Comparing 3 Comfort Cruisers - Aventon Pace 500 vs Pedego Interceptor vs Trek's Electra Townie Go! + How much should I spend to get a good quality ebike ? + What frame style do I need or want ? + How much motor power (watts) and battery capacity for range (Amp-hours, or "AH") do I need ? + What Class of ebike do I need (Class 1 = for top speed of 20 mph, pedal assist only and no throttle; Class 2 = pedal assist and throttle, top speed of 20 for both; Class 3: pedal assist and throttle, top speed of 28 mph under pedal assist. + Do I want an all around style that is comfort oriented, easy to get on, and capable for some smooth trails and pavement, or a strickly road bike, or strictly mountain style bike ? 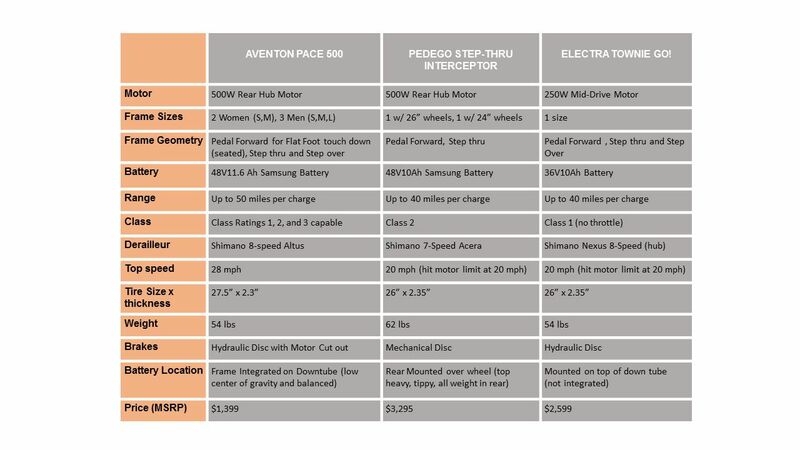 So in response to the most popular style of ebike (comfort cruiser) that is asked for at my shop, I prepared the above comparison chart to help narrow down your choice, and compared a very high value ebike with 2 ebike brands that are very well known, but more expensive. Each of the ebikes also are of the more all around, all purpose 'cruiser style' that has what is known in the industry as 'pedal forward', or 'touch down geometry', where you can still place your feet flat on the ground while seated. Importantly, since they are pedal forward, they allow for proper leg extension while riding. The primary emphasis here is that you really don't have to spend a lot of money to get the e-bike that you truly need or want, or 'break the bank' so to speak when its your first e-bike, as it typically is for most consumers buying today. This is a quick update on Trump's China tariff's that have taken effect on electric assist e-bikes. 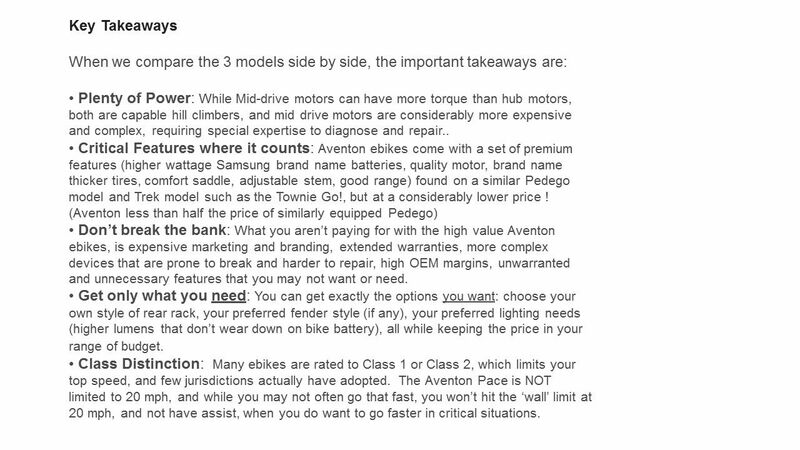 Not all e-bike OEM's have raised their prices - yet. Most of the e-bike brands we carry... Blix, Yamaha, Surface 604, Magnum, have not raised their prices. Nationally, what we are seeing is that on-line brands ARE raising their prices, since they directly import from China, and are too small to absorb the increase. Examples include Rad Power, Juiced, and most on-line at Amazon. More well known brands like Pedego have raised their prices. Some weaker brands such as Shocke and BionX have already gone out of business. 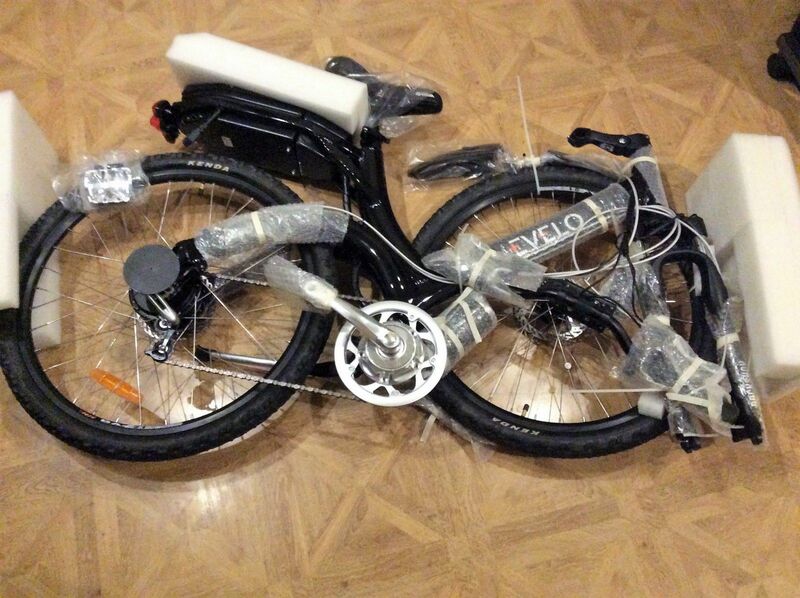 We expect this to continue so be cautious about your choice of e-bike OEM. A number of brands are trying to re-locate where they buy from - such as Taiwan, but that is not an easy or quick option, especially if they are not already doing business with factories in Taiwan. Some brands have held off raising prices until their local stock is depleted, so right now and probably for another quarter, you will see a lot of brands that could be hanging on before prices increase substantially. Now is a great time to buy, especially here in the midwest, where the season is cold, dealers are lowering inventory, and e-bike tariffs have yet to take hold. 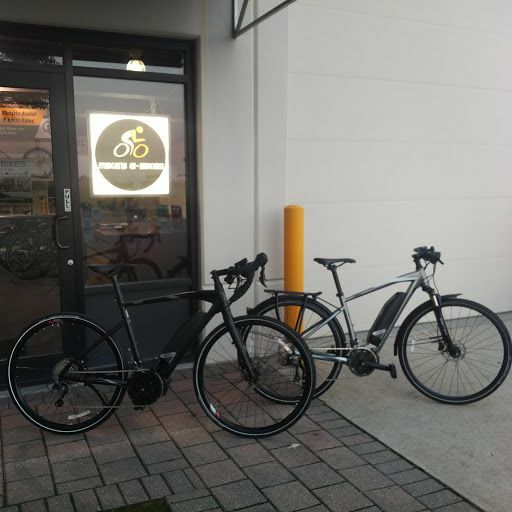 Our inventory is still good, and again, none of our e-bike models have increased prices, so stop by here to take advantage of the current market environment. As previously mentioned as a possibility in my July 20th Blog post, the 25% tariffs are unfortunately being implemented on the industry codes that includes ebikes. (includes motors on ebikes, many components, even kits). Regular bikes could see increases of 10 to 25%. That is less well defined at the moment. The Schwinn's are In ! 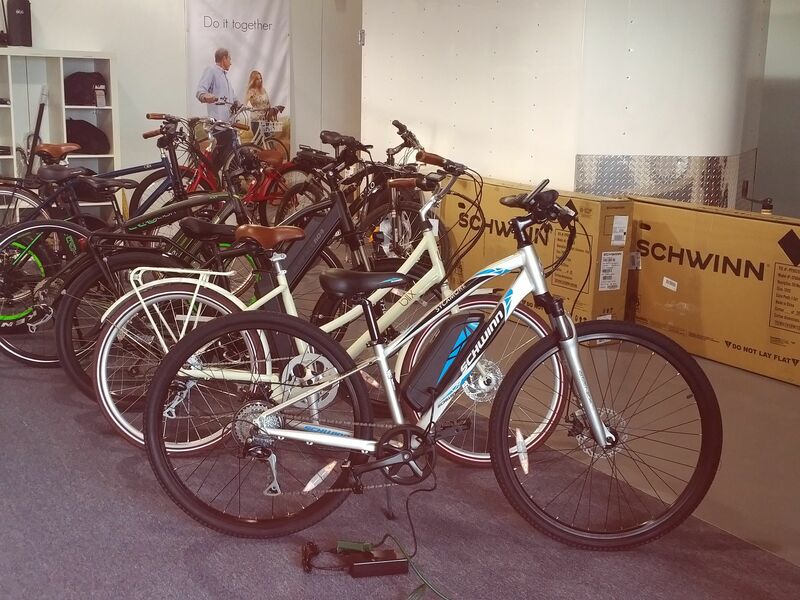 Beautiful Schwinn E-Bikes are in stock now ! Come take a test ride !